Sub-titled "A Tribute to the Italian Progressive Rock of the Seventies"
4 CD Box set from Mellow records devoted to recounting the wonderful 1970's Italian progressive rock scene... my personal favorite of all time. For those who turn your nose up at tribute albums in general may want to not read on... for the remainder you let me just say that this is a truly amazing and very comprehensive box set with some great musical allusion and colorful packaging. Bands covered include PFM, PIERROT LUNAIRE, NEW TROLLS, Le ORME, MUSEO ROSENBACH, NOMADI, BALLETTO DI BRONZO, BANCO, OSANNA, LOCANDA DELLE FATE, CELESTE, ACQUA FRAGILE, AREA, QUELLA VECCHIA LOCANDA, GOBLIN and many more. Although several key 70's Ital-Prog band are disappointingly not referenced here (ie. ROVESCIO DELLA MEDAGLIA, IL VOLO, SEMIRAMIS & LATTE E MIELE) it remains still in my eyes a thorough representation of this influential and highly creative era. Highlights are honestly far too vast to cover here but some tasty contributions I need to mention are made by: MAD CRAYON's symphonic cover of PIERROT LUNAIRE's "Sotto I Ponti", FINISTERRE's unbelievable live version of PFM's "Alta Loma Five Till Nine", FONYA (USA) and his powerful medley, A PIEDI NUDI's eye opening cover of Le ORME's "Era Inverno", 3Vel's jazz interpretation of IL BARICENTRO's "Trusciant", BEGGAR'S FARM's rich vocal acapella-like cover of PFM's "Dove... Quando" and even ARS NOVA's (Japan) CRIMSON-like interpretation of IL BALLETTO DI BRONZO's "Epilogo". Some bands have really had some creative fun with the music presented here and have manipulated and have actually re-presented the material with variations on the original themes and ideas. After all I think this is a much more progressive way to approach tribute albums! As mentioned above the packaging is quite exceptional with all 4 CD's bound in a hard cover with a lovely 40 page book covering the contents and philosophy of the box set. Of course the original versions are always the authentic gems, but if you are a true lover of 70's era Italian prog rock then this collaboration in tribute is a wonderful prized and welcome possession. 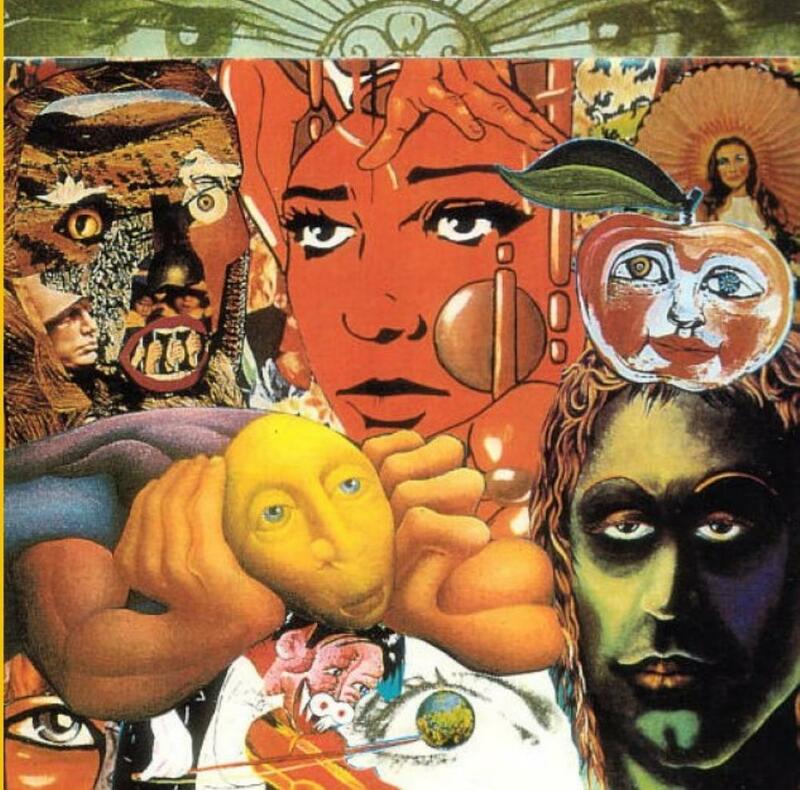 In a world where so called "Prog-Experts" write book recounting the progressive rock genre and erroneously fail to make mention of the Italian scene, then it is a true relief and a testimonial to remind us all of how significant and rich the 70's Italian Progressive Rock scene really was. As a huge fan of the Seventies Italian Prog I was very curious to this lavishly packaged 4-CD box set. It took a while before I got the opportunity to listen to it but last week I could borrow if from my friend from Progwalhalla. The list of bands features many known and lesser known groups, from the Finnish Sea Reach & Friends, the USA bands Fonya and Strange New Toys and Japanese Gerard and Ars Nova to the Italian Hostsonaten, Finisterre, Mad Crayon, Blondie Fox, Moongarden and Eftus, quite a varied musical company! Most of the bands that were covered I know like Le Orme, Banco, PFM, Museo Rosenbach, Celeste and Nomadi but some sound less familiar like Alan Sorrenti, Fortis, Protici and Claudio Rocchi. I couldn't even trace some of these names in the wonderful, just re-released book/CD Rock Progressivo Italiano (by Barotto/D'Ubaldo) so you can conclude that the producers have done their best to present a comprehensive group of ancient and current bands! In general the level of the bands is decent, let's start my musical analysis CD by CD. CD-1: The formation Sea Reach & Friends deliver a tasteful rendition (pleasant organ and acoustic guitar work and warm vocals) of Celeste their song Principe Di Un Giorno, Hostsonaten sound beautiful (sensitive electric guitar and fluent organ play) in Vorrei Incontrari by Alan Sorrenti, Fonya plays inspired during a PFM medley (cheerful Minimoog flights and raw, propulsive guitar riffs), Avarta sounds Eastern (with violin and tablas) in Mauro Pagani's song Europa Minor and Finisterre does a fine job with PFM their track Alta Loma Five Till Nine (bluesy guitar and a moving organ solo). CD-2: A lot of variety, the trademark of the Seventies Italian Prog! My highlights are Trama with Profuma Di Colla Bianca by Locanda Delle Fate (strong female vocals and wonderful Hackett inspired guitar play) and Iconae with U.F.D.E.M. by Jacula (majestic church organ sound, theatrical female vocals and intense violin play). CD-3: This is my favorite disc in this box set, especially because of the Italian Rock Session Band (great renditions from songs by New Trolls and Il Balletto Di Bronzo) and the Japanese keyboard wizards from Gerard (La Conquista .. by Banco) and Ars Nova (Epilogo by Il Balletto Di Bronzo). I also enjoyed Strange New Toys with Snip-Snap by Goblin (swinging clavinet, fiery guitar and pleasant synthesizer runs). But I was very disappointed about the versions of the legendary compositions Felona E Sorona (Le Orme) by Algebra (the screamy saxophone doesn't fit in this song in my opinion) and Zarathustra (Museo Rosenbach) by Mouse (too much avant-garde). CD-4: To me this disc sounds the least captivating, to start with the punk version of Il Balletto Di Bronzo their song Neve Calda by Blondie Fox, horrible! Only Italian bands H2O with C'E Un Paese Al Mondo by Maxophone (sumptuous keyboards and sensitive guitar) and Moongarden with There Will Be Time by Osanna (beautiful keyboards and strong guitar work) manage to excite me. Despite some weaker moments, in general this 4-CD set has a lot to offer and I am pleased with the often creative ways the new bands offer their renditions of the Seventies Italian Prog bands. A dood effort but to me it doesn't sound as excellent or essential. This is a four disc recording released in 1997 honouring the seventies greats from Italy. Mauro Moroni from Mellow Records who released it calls it his masterpiece and that it was 3 years in the making.The cover-art and liner notes are all so beautifully done.There are six pages of what i'm thinking are people's opinions of this recording in the liner notes but it's all in Italian except for Scott McGill's brief comments.There are pictures of the bands who are covering these great tracks as well. I'm going to talk about the songs that are the highlights for me. Disc one has maybe my two favourite tracks on this whole recording, but first i'd mention SEA REACH & FRIENDS' cover of CELESTE's "Principe Di Un Giomo". Just a beautiful version here with the keyboards and vocals standing out, it does get fuller before 3 minutes though with drums and guitar before settling back.Tasteful guitar late to end it. I also like the PROWLERS' version of "L'ultima Ora E Ode A J. Hendrix" originally done by THE TRIP.The female singer has such a fantastic voice and there's lots of guitar and organ too. Killer tune. As for my two favourites ? Well the first is HOSTSONATEN's cover of an Alan Sorrenti track called "Vorrei Incontrarti". Simply beautiful. My God this is gorgeous. The other is by FINISTERRE as they cover PFM's "Alta Loma Five Till Nine". Just an incredible instrumental display on this one. Disc two has two songs that really stand out for me. Marco Masoni's Franco Battiato medley is amazing and without question one of the highlights of this recording. It has a heavy intro as the vocals join in. It turns experimental and I mean if your into adventerous music this is incredible.The other song is by ALTERA and it's a cover of QUELLA VECCHIA LOCANDA's "Prologo" from the debut. Atmosphere to start as the rain comes in with strummed guitar. It kicks in around a minute and vocals arrive after 1 1/2 minutes. I like when it settles back and the guitar grinds away. Disc three is weaker than the first two discs but I do like GERARD's version of "La Conquista Delle Posizione Eretta" by BANCO. It kicks in with organ right away and we get violin too and upfront drumming. Nasty stuff. Also ARS NOVA's version of IL BALLETTO DI BRONZO's "Epilogo" is killer. Mellotron in this too. Disc four is the weakest but Phil Beane's cover of PFM's "Via Lumlere" is well done as is EFTUS' cover of a CELESTE tune. Obviously the originals are the way to go and i'm thankful to own a lot of the tracks here by the original artists, but I know there are those who would be blown away by this.This is very well done. Post a review of VARIOUS ARTISTS (TRIBUTES) "Zarathustra's Revenge"